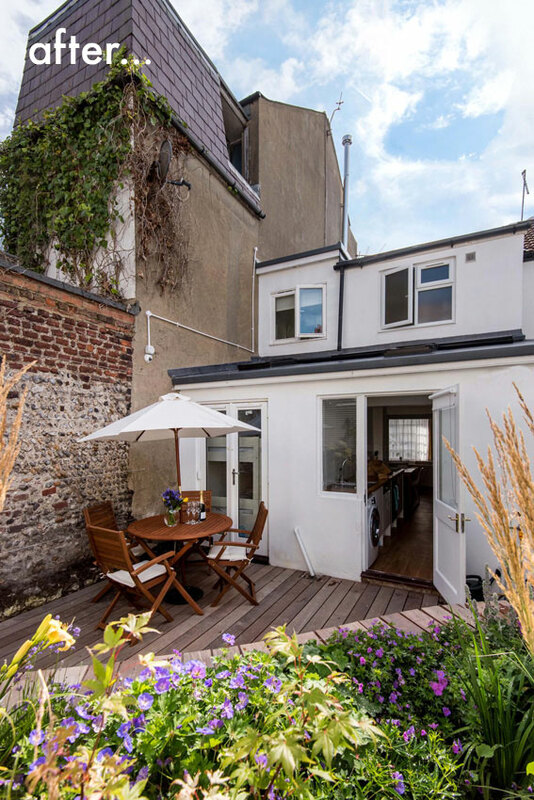 A cool boutique style ‘getaway’ destination was created to offer weekend escapes to Brighton, and the theme was to be soft coastal without the ‘seaside clichés’. 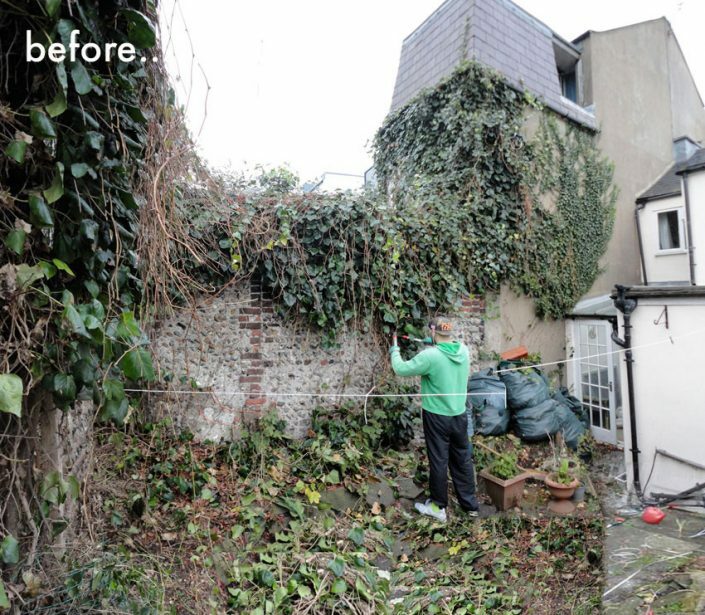 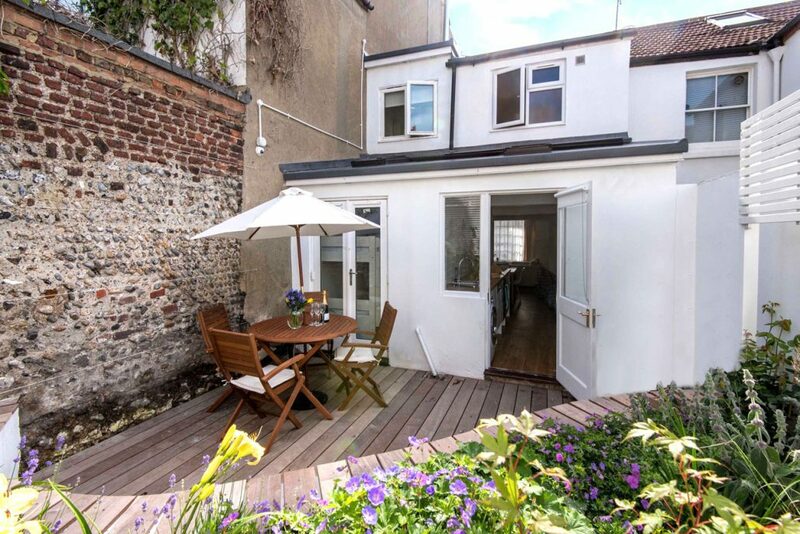 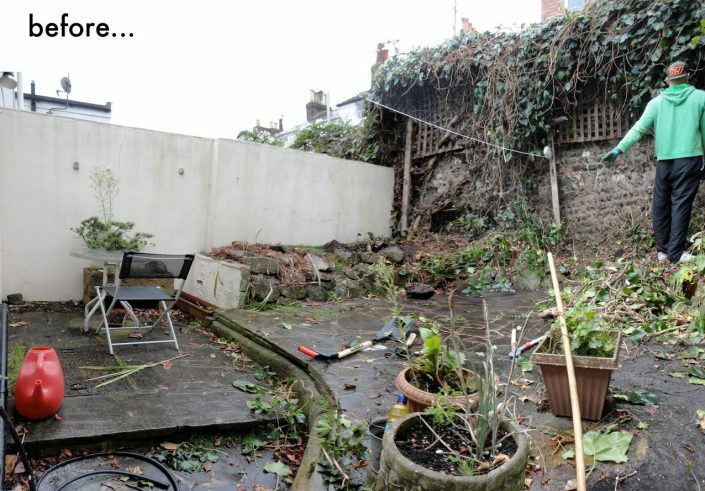 The garden was a tiny enclosed courtyard that needed a radical clearance and clever reuse of the limited space. The key ingredients to this scheme were – natural textures -timber slats & decking and whitewashed fencing, a gorgeous planting scheme to enhance the outdoor experience, and to maximize the limited space for a small table for al fresco dining. 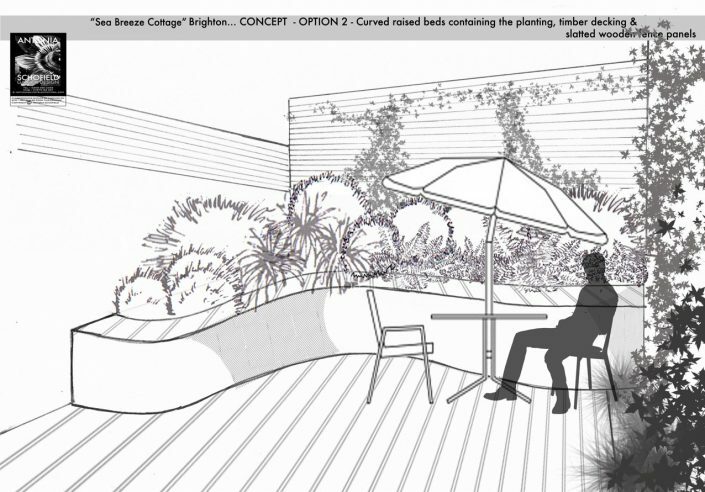 The solution was to divide the space into 2 halves – the larger space for sitting, dining and chilling, and for the smaller space a large ‘wave’ shaped raised bed to contain the new plants. 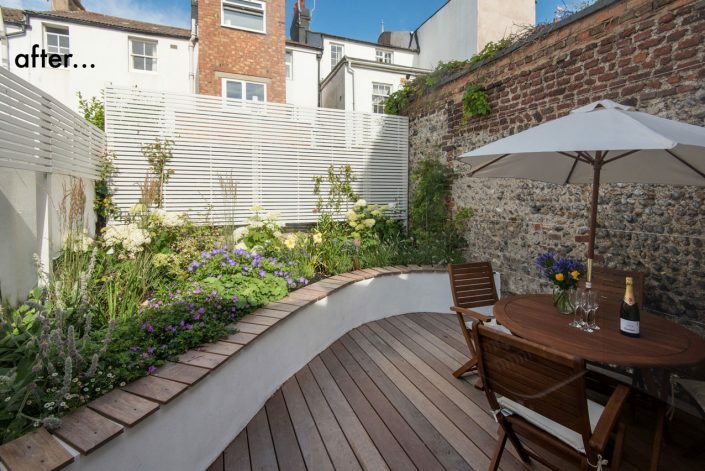 Extra screening & privacy were achieved by whitewashed slatted timber screening which also provided a support backdrop for the climbing plants. 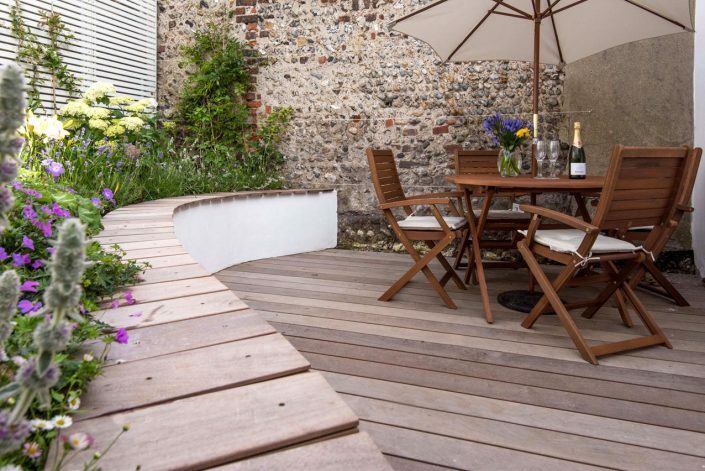 More timber in the form of a hardwood deck gave the right mood to the space and a soft natural feeling for the main structure. Also the deck timbers were used to create bench seating on top of the raised bed. 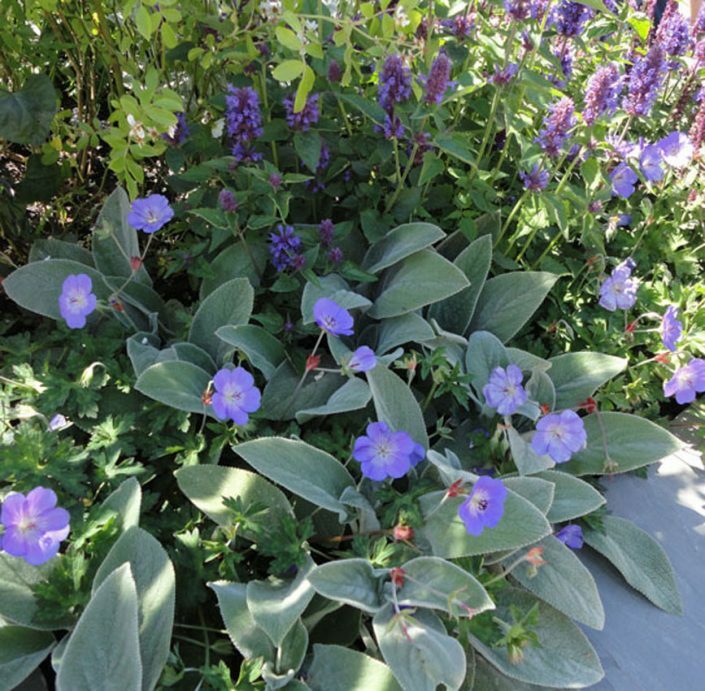 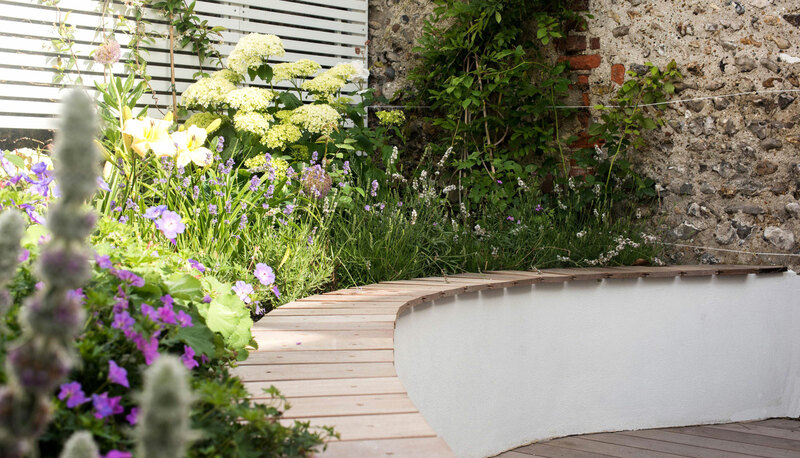 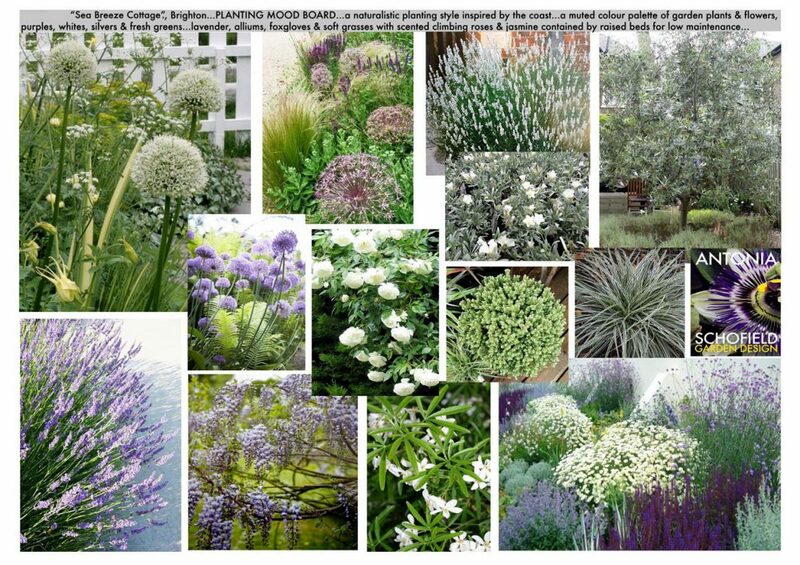 The planting scheme was designed to look soft and naturalistic – inspired by the coast. 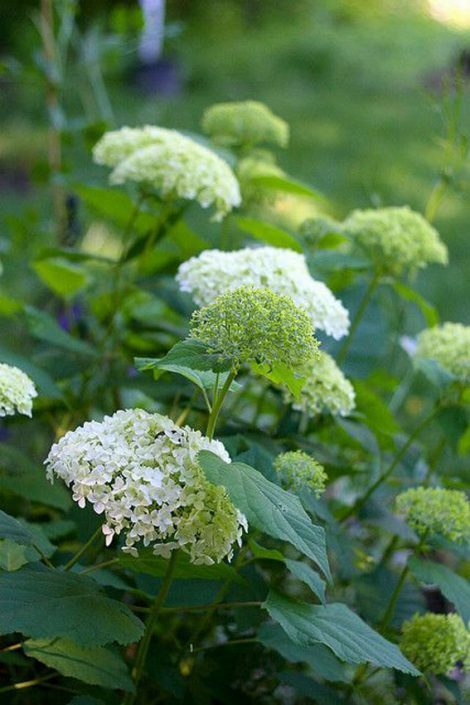 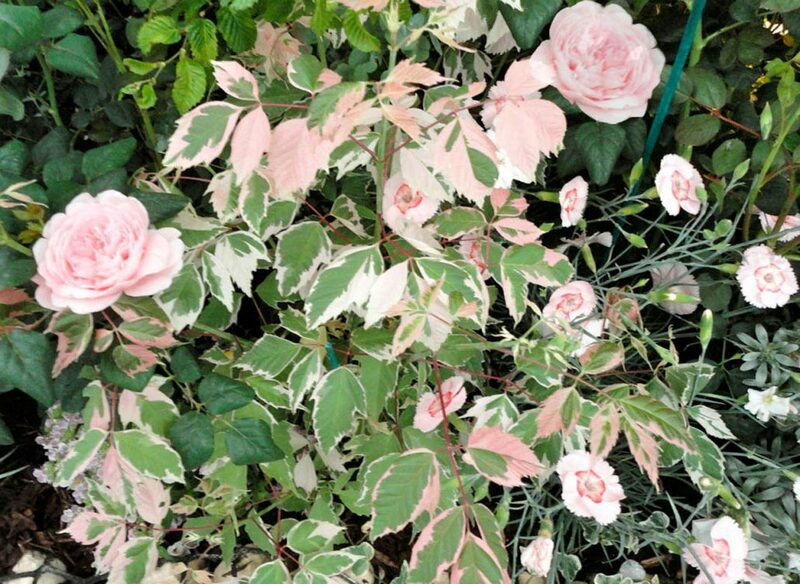 Pale chalky colours, plenty of delicate flowers, and scent where possible as the garden was enclosed and would trap any perfume. Silvery foliage and variegated leaves was key to the look. 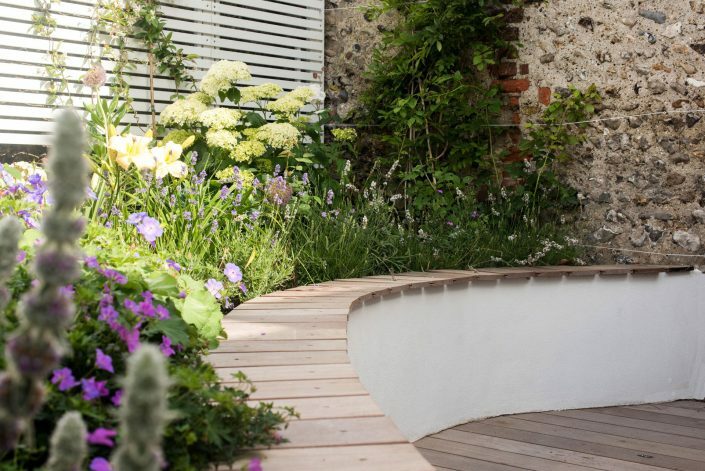 It was also important to expose the beauty of the 2 original flint walls and integrate them into the scheme by adding support for climbing roses and jasmine.